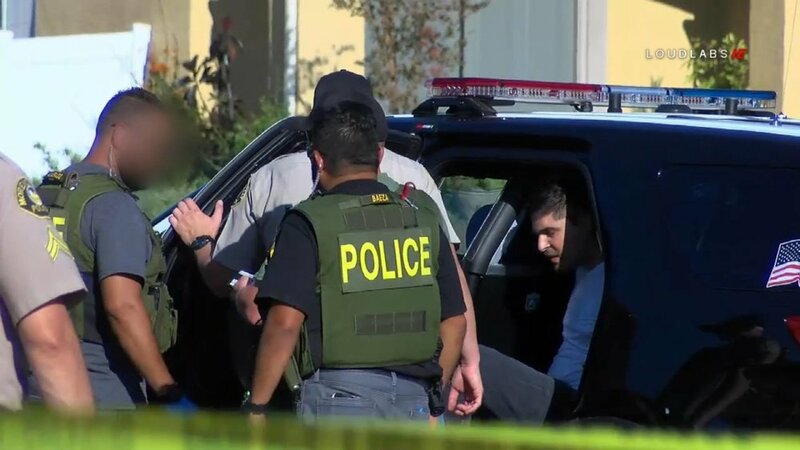 MORENO VALLEY (LoudLabs News) - On Thursday afternoon September 06, 2018 the Riverside County Sheriff's Department responded to multiple reports of shots fired in the City's South-end near Lake Perris and Moreno Valley College. According to a tweet from Deputy Flores with the Riverside County Sheriff's Department, Deputies were actively investigating a shooting which was reported around 4:30pm in a residential neighborhood at Sugarite Canyon Drive and Socorro Drive. An adult male is in custody and another has been detained in relation to the shooting. Details surrounding the shooting were limited. Witnesses at the scene stated at least one car was struck by the gunfire. It's unknown if the shooting was a result of a neighbor dispute or a drive-by. No injuries were reported and the area remained blocked off while Deputies collected bullet casings and other evidence from the scene.